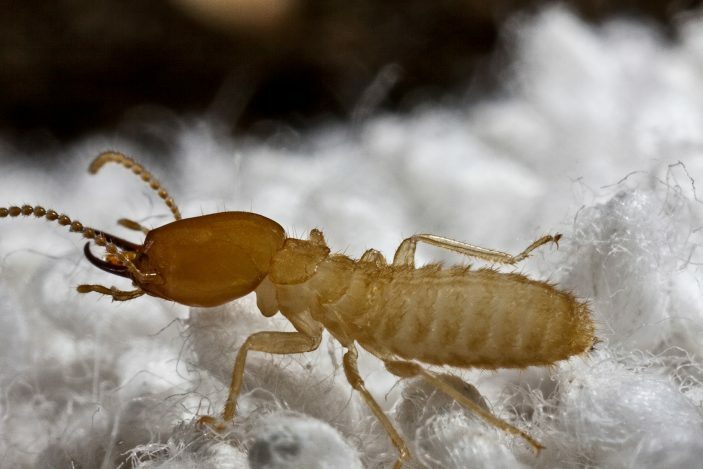 Being able to exterminate termites is one thing, but it is better to prevent them from getting into your home and property in the first place. Fox Pest Control, a Lubbock exterminator, knows that both treatment and prevention are vital to keeping termite problems from being a disaster. There are many things you can do to protect your home. Termites are only interested in the wood of your home, so you need to start your prevention there. Any exposed wood lower than a foot above the soil level can be a target. Wood framing and actual structural parts of the house should be covered or enclosed with siding or other non-wood cladding as much as possible. For wooden features that can’t be covered, like a deck or stairway, place a barrier of thin sheet metal or sturdy plastic between the wood and the house. This doesn’t protect the wood per se, but it will keep any termites from continuing into the house and causing further damage. You can also treat exposed wood with insecticides keep the termites from chewing their way in, though a more permanent covering is a better choice if you can manage it. The termites need to get close to your house in order to get in, so keep them at a distance by creating a barrier in the soil. Though some swarming termite do fly, they generally do their moving through the moist dirt. A regular chemical treatment to the soil around the house can create a perfect (and invisible) barrier to termites. Your professionals can let you know how often you need to have these treatments, given your location and soil conditions. One big termite prevention that many people don’t think about is the rest of your yard, not the house at all. Dead stumps, fallen branches and any other such wood debris should be cleaned up and disposed so you’re not creating pleasant habitat for termites close to the house. Firewood shouldn’t be stacked so that it’s touching the house, and should ideally be placed on a barrier layer of plastic, stone or metal so that it’s not in contact with the dirt. This protects both your house and the wood pile itself. Termites also need a damp environment to live, not just wood. By keeping your basement areas dry, it becomes a far less appealing destination for local termites. Repair any leaking pipes and add extra screened vents where necessary to keep conditions dry and aerated. If you’re taking these steps, you are on the right track. To round out your prevention program, you should have a professional do a complete termite inspection of your home at least once a year. While an inspection doesn’t literally prevent termites, it can make a huge difference in catching a problem before it gets worse. Knowing how to handle termites in the house is fine, but it’s better if you can use prevention instead to protect your home.